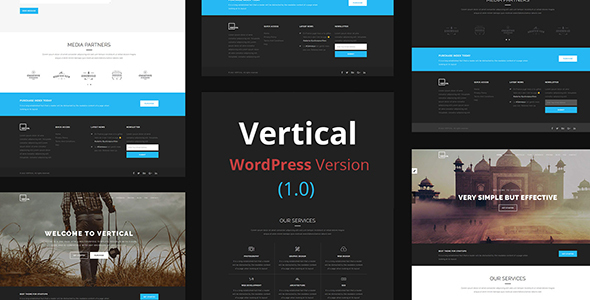 Vertical- One Page Multipurpose WordPress Theme is a corporate theme which can be used for company , portfolio , business and many other purposes. Vertical is made using famous page builder visual composer including all default short codes plus 20+ custom short codes. Vertical WordPress theme comes with easy installation steps with demo content and very user friendly theme options to change layouts between light , dark and so many other options.